LAS VEGAS – The New Mexico State men’s basketball team won the 2014 Western Athletic Conference title after defeating Idaho 77-55 in the finals of the WAC Tournament, Saturday, March 15 in the Orleans Arena to three-peat as conference champions. NM State fell behind 8-3 early on but Coach Menzies called a quick timeout to make adjustments and the Aggies went on 6-0 scoring run to take a 9-8 lead with 13:24 on the clock in the first half. The game was then tied at 9 and 11 before NM State used a 7-0 run to take an 18-11 lead with 11:13 on the clock. The Aggies went up by 10 at 23-13 at the 9:22 mark when senior Kevin Aronis hit a 3-pointer. NM State would not relinquish the lead again in the first half went up by as many as 15 at 30-15 and 37-22. The Aggies finished the half shooting 55 percent as a team and went into the locker room with a 39-25 cushion. NM State played consistently in the second half and both teams exchanged buckets for the first 3 minutes and 12 second of play but the Aggies held a 47-33 lead with 15:57 in the half. Nephawe put a layup in with 12:51 on the clock before using an 11-3 run, taking a commanding lead at 64-43. The Aggies held on to the lead and won the game 77-55. The Aggies out-rebounded Idaho 38-21 and shot 14-of-17 from the free throw line. NM State’s defense held the Vandals to a 38.3 percent shooting percentage and forced five Vandal turnovers. Freshman guard Ian Baker posted 11 points and junior forward Tshilidzi Nephawe added 12 points on 5-of-8 shooting and added seven rebounds. The Aggies are now 5-1 all-time in WAC Championship games and will head to the NCAA Tournament for the third consecutive year and for the 21st time in school history. The 2014 WAC Title marks the eighth league tournament title in school history as the Aggie head into the tournament with a 26-9 overall record. Junior guard Daniel Mullings led all scorers with 18 points while also adding four assists, eight rebounds and two steals to lead the Aggies to victory, while sophomore Sim Bhullar, who was named tournament MVP for the second straight year, added 14 points on 6-of-9 shooting and 2-of-3 from the free throw line to go along with nine rebounds, three assists and a block. He finished the tournament averaging 14.0 points per game while grabbing 10.3 rebounds per game and shooting 62.5 percent. Mullings was also named to the 2014 WAC All-Tournament team posting 15.7 points and 3.7 rebounds per game while coming up with five steals, one block and dishing out 14 assists. Visit Crimson to the Core Forums and AggieAlert.com Forums for discussions on the Aggies Win. The Game Bar and Grill on Espina Ave. in Las Cruces, N.M. will host a Selection Show Party starting at 3 p.m. (MT). The NCAA selection show starts at 4 p.m. (MT) on CBS. Crimson to the Core Forums Will be having a Live Selection Sunday Chat that begins at 3:30PM MST. 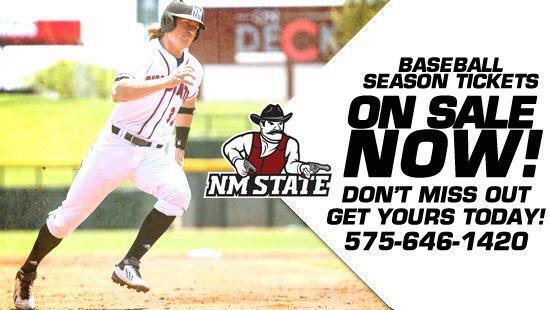 Say what you want about #NMSU but make sure you call us champions.. That's 4 in 5 years by the way!! !